From time to time, folks offer to generously share a bit of the Joplin history in their possession. 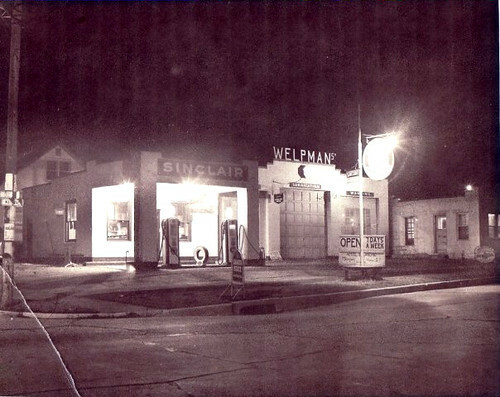 The photograph of Welpman’s Service Station above is one such example. The image captures the building at night in the 1950’s, when it was owned by Gary Welpman. Happily, the building still stands today.